I hope you had a terrific Christmas, and will have a great weekend!! From our Family to yours, Merry Christmas!!! Happy Birthday to my best friend, and love of my life, my Hubby Ben!!! Have a great weekend everyone, and I hope you get all your shopping done!! Cuddle Barn offers the softest most cuddly animated friends you will ever see!! Check out my review and giveaway of the J.Frost Snowman!! You will love it. Are you looking for a fun stocking stuffer gift with personality?? 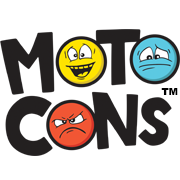 Check out my Motocons review. 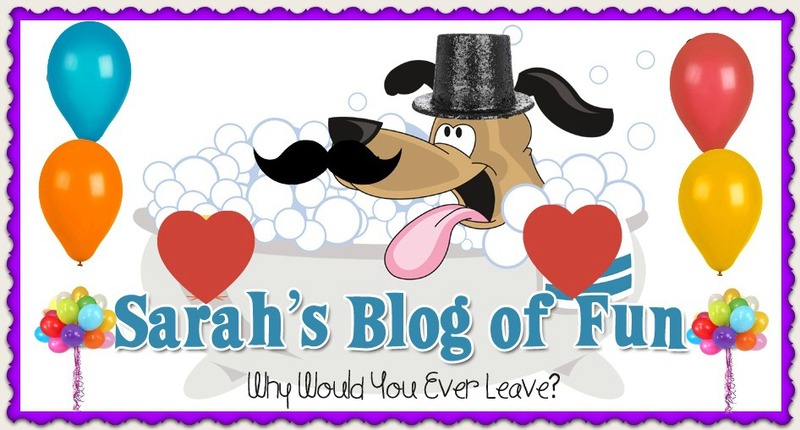 You will love these car magnets and all 100+ different attitudes!!! The newest addition to the Skylanders game series is a ton of fun. 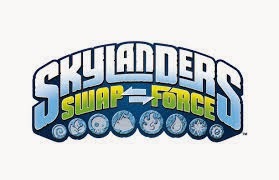 Check out my Swap Force review and a great deal at Target!! 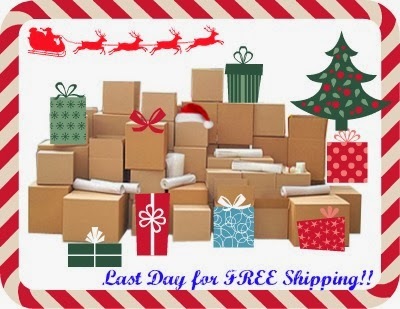 Today Is The Last Day For Free Ground Shipping!! A lot of online retailers are letting customers know today is the last day to get guaranteed ground shipping (usually cheapest option) in time for Christmas. If you have any purchases you need to make, do it today asap!! Here is a list of some of the places offering Free Shipping. Make sure you use Ebates to get cash back as well!! Asos - Free shipping and Returns on any order. Ella Moss - Free shipping and Free Returns on any order. L.L. Bean - Free shipping on any order to the US and Canada. REI - Free shipping on any order. Smashbox - Smashbox Cosmetics: Free shipping and Samples with any order! Adidas - Free Shipping, no minimum. Old Navy - Free Everyday shipping on $50+ order. Backcountry.com - Free 2 Day shipping on $50+ order. Estee Lauder – FREE FRAGRANCE GIFT! Choose Beautiful or Pleasures and receive a purse spray, body lotion and Pure Color Gloss. Free with $55 fragrance purchase. Free shipping & Free Returns. The Childrens Place - Free shipping on $75+ order. 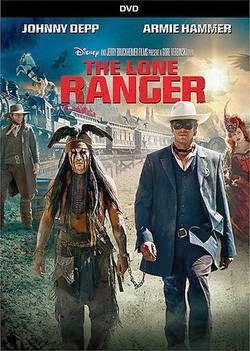 Disney's The Lone Ranger On DVD Today!! 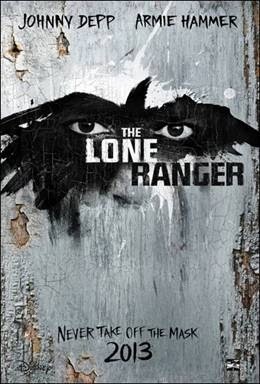 In honor of today's release of The Lone Ranger, go behind the scenes of the film with set images and some terrific clips from the movie!! Having a party this holiday season?? Add Schmovie to the fun!! A great way to be creative with movie titles. Can you think up a parody on the spot?? Check out my review and giveaway and see how well I did!! Fun and unique gifts for those special girls on your list. Pamper their feet in style with Orbeez Luxury Spa, and help them make beautiful and creative jewelry with Color Splasherz. Check out my review to find out more!! It’s Time for Lights, Camera, Fashion! Meet Blythe. She’s just a regular girl. She loves fashion. She loves her friends. And did we mention that she has the ability to talk to animals? 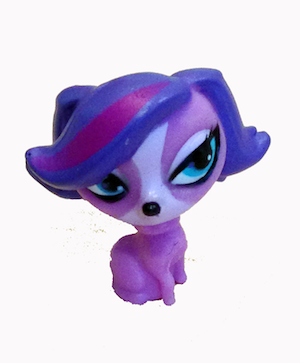 Good thing this secret gift makes her a perfect fit for The Littlest Pet Shop! On December 17th, 2013, Shout! Factory Kids, in collaboration with Hasbro Studios, invite you to join Blythe and her very best friends — Zoe the spaniel, Pepper the skunk, Sunil the mongoose, Russell the hedgehog, Penny the panda, Vinnie the gecko and Minka the monkey — for fashion-filled fun in Littlest Pet Shop: Lights, Camera,Fashion! In addition to five off-the wall adventures, Littlest Pet Shop: Lights, Camera, Fashion! also comes with a collectible Zoe toy and trading card, and has a suggested retail price of $14.93. Hasbro Studios is the Los Angeles-based entertainment division of Hasbro, Inc. (NASDAQ: HAS). The studio is responsible for entertainment brand-driven storytelling for the company across television, film, commercial productions and short-form. It develops, produces and distributes TV shows based on Hasbro's world class brands, including TRANSFORMERS, MY LITTLE PONY, LITTLEST PET SHOP and FAMILY GAME NIGHT. Many of these shows air on the Hub Network, a U.S. television network for kids and their families, that is a joint venture between Hasbro and Discovery Communications (NASDAQ: DISCA, DISCB, DISCK). Hasbro Studios shows can also be seen on networks in more than 180 territories globally. Since its formation in 2009, the studio has received seven Daytime Emmy wins and 16 nominations. On the film side, the studio is developing and producing a number of features based on Hasbro's brands, including TRANSFORMERS: AGE OF EXTINCTION (Paramount), G.I. JOE 3 (Paramount) and CANDY LAND (Sony). The studio team also oversees the production of commercials that feature Hasbro's brands as well production of short-form content that can be seen on all of the major digital and social media platforms globally. This is another cute Littlest Pet Shop DVD!! Blythe is a fashion conscience teenager. She's just like any other teenager, except for one thing. She can talk to animals!! She goes on some fashion adventures with her new friends in 5 fun all new episodes. Doug loves Russell the hedgehog. I really like the skunk Pepper!! If you purchase the DVD at Walmart, you will also get a Zoe Trent Toy and Trading Card!! Plus there is a coupon for $3 off the DVD if you purchase a Littlest Pet Shop Toy as well. How would you like to win a DVD set with toy?? Enter below using the rafflecopter form, and Happy Holidays!! Disney Parks Vacation Planning DVD- FREE!! Yeah it's Super Mickey (not that the mouse wasn't already super!!) In this terrific DVD you watch Super Mickey, Wonder Minnie, Super Power Pup (Pluto,) Super Goof, Dynamo Duck and Upsy-Daisy battle Power-Pants Pete who is going around shrinking everything. Professor Von Drake makes all the gang have super powers to help battle against Pete and the new evil villain Megamort. With all the things you love about the Clubhouse show, including toodles, this DVD is bound to be your kids new favorite!! I was not alive 50 years ago when President Kennedy was shot, but it is a piece of history that everyone should know and learn from. Revered as one of the best presidents this nation has ever seen, this documentary goes in depth about JFK from birth until his assassination in 1963. It covers topics like The Bay of Pigs, The Cuban Missile Crisis and even Camelot. You get to see the president before his short presidency and learn more about his character, his family life, and just more about the man in general. This DVD gives you over 3 hours of information including his time in WWII, and his time as a senator. Minneapolis, MN June 28, 2013 - To commemorate the 50th Anniversary of the assassination of former president John Fitzgerald Kennedy, Mill Creek Entertainment is releasing an exclusive, historical documentary - JFK: A New World Order. This brand new eight - part commemorative documentary series, which also contains over three hours of bonus content, is available as a BD+DVD combo for $14.98 MSRP. Insightful and comprehensive, this documentary series is an in-depth chronicle of John F. Kennedy’s life from barely surviving birth to the years leading up to his decision to enter politics to the tragic events in Dallas on November 22, 1963 to the legacy he created. Journey through the pivotal moments that created one of America s most beloved, influential and controversial figures through interviews with historians and archival footage that commemorate the man and the myth that is John F. Kennedy. “This documentary was created to honor John F. Kennedy, his life and legacy. We recognize that their was a void in available content about JFK’s entire life, and are proud to release one of the most in depth-documentaries available about our 35th president,” says Jeff Hayne, Vice President Content Acquisitions for Mill Creek Entertainment. Over Six Hours Of The Myth And Memory of JFK The Man Who Captivated A Nation! Fifty years after his death, President John F. Kennedy’s life and legacy continues to capture the hearts and minds of an entire nation. Experience the history all over again as a new generation of Americans is introduced to the compelling story of this unforgettable leader, and the political dynasty that he left behind. Insightful and concise, this eight - part documentary series covers the life of JFK, from his perilous birth to his dramatic assassination in 1963. John F. Kennedy’s life through his election as the 35th President of the United States. The 1960 Presidential election and the many obstacles, including familial and religious, that Kennedy needed to overcome to win the United States Presidency. 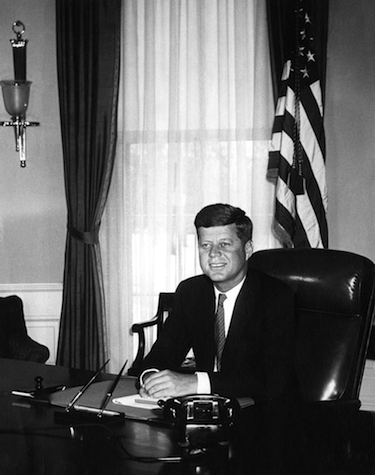 The beginnings of John F. Kennedy’s presidency. The Bay of Pigs and The Cuban Missile Crisis, to his proudest achievements, the Limited Nuclear Test Ban Treaty. The origins of Soviet-American tensions in the divided city of Berlin from the final days of World War II up through the time of John F. Kennedy’s Presidency. Civil Rights, from his record as a senator up though the transformation near the end of his life that would help inspire the Civil Rights Act of 1964. The events in Southeast Asia that eventually led to America’s war in Vietnam. His health and private life, marriage and family, the myth of Camelot, and finally, his assassination and legacy. Mill Creek Entertainment is the leading provider of value home video content to the retail and specialty marketplaces. With over 50 million DVDs and Blu-ray discs sold annually the company has established a powerful distribution network that encompasses over 30,000 storefronts and millions of online customers. The company is relentless in its quest to always provide outstanding content and packaging with amazing value propositions to ensure consumer demand and customer satisfaction. Mill Creek offers a tremendous range of content including contemporary and classic feature film and television, kids’ animation, documentary, special interest and fitness. Compilations range from double-features to 100-movie collections as well as 10 to 600 episode TV collections. Driven by its immense library of over 12,000 hours of owned and licensed content and licensing partnerships with major studios and production companies world-wide, the company continues to redefine the value marketplace. For more information: www.millcreekent.com. Would you like to win a copy?? This would make a perfect gift for that history buff on your Christmas list!! Despicable Me 2 On DVD Now!! On December 10th, Universal Studios Home Entertainment released DESPICABLE ME 2, the $863 million worldwide box office phenomenon and the year's #1 comedy, on Blu-ray™ and Blu-ray 3D™ Combo Packs, DVD and Digital HD including UltraViolet™! Bonus features include three all-new mini-movies featuring the mischievous but lovable Minions, deleted scenes, a closer look at the evil minions and much more! 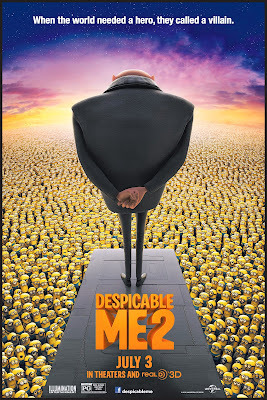 Gru, the girls and our favorite minions are back!! Gru has been living a normal life as a dad to three young girls. No more evil schemes for him. He even has Dr. Nefario and the minions using their old lair as a jam making station. When Lucy, an agent from the Anti-Villain League enlists Gru's help to find a thief who stole a top-secret research lab filled with PX 41 -- an experimental serum with the strength to transform harmless animals into ravenous monsters, Gru joins the other side!! There are a ton of hilarious parts in this movie. I think this is one of those rare cases when the sequel is better then the original!! When the All 4 One scene takes place, you will laugh and laugh!! You can get Despicable Me 2 at any store right now, but if you get it through Walmart, you get bonus Minion dolls!! !